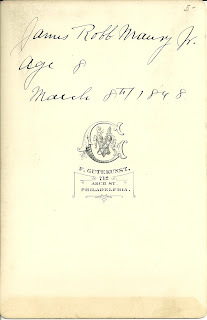 Note of March 2014: a Bible with Gardette information in it, including the marriage of James Robb Maury Jr.'s parents, was offered on eBay in February 2014. Contact me if the link no longer works. 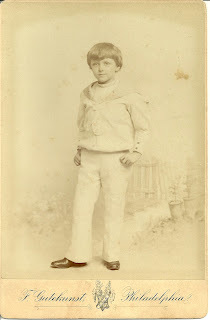 Cabinet photo of a young James Robb Maury, Jr., taken by F. Gutekunst, Philadelphia, Pennsylvania. 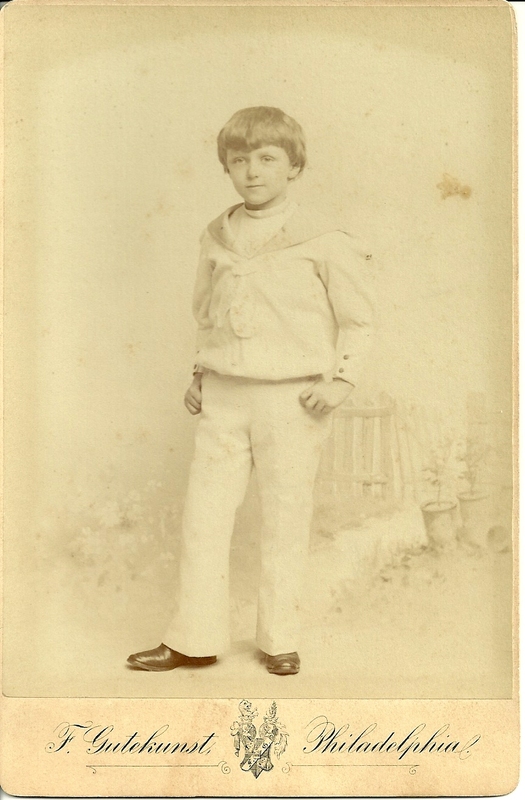 The photo was taken March 8, 1898, when James was 8, according to information on the reverse of the photo. Online research reveals that James Robb Maury Jr was the son of James Robb and Julia Desmarais (Gardette) Maury. 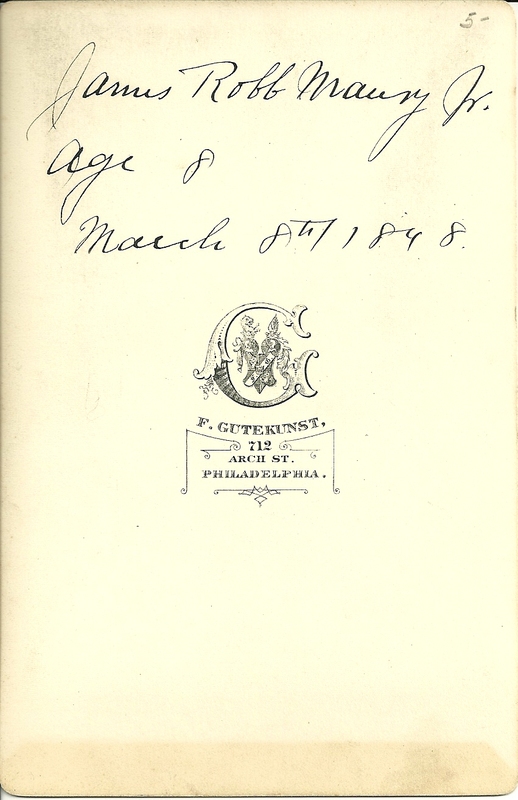 James Robb Maury, Sr., was born in 1852, the son of Matthew Fontaine and Eliza (Fry or Chipman?) Maury. Julia Desmarais Gardette was born in 1854, the daughter of Emile Blaise [or Blaise Emile] and Catherine (Pepper) Gardette. Was this Matthew Fontaine Maury related to the famous Matthew Fontaine Maury, the father of Oceanography and Naval Meteorology? Online, I found a reference that James Robb Maury, Jr. attended Princeton University. He may also have attended the University of Pennsylvania. I found James Robb Maury, Jr in Philadelphia, living with his sister, in the 1920 Census and in Saranac Lake, New York, as a boarder in the 1930 Census. It's possible also that he is the James Maury who appears in the 1920 Census in Contra Costa County, California, with a wife Grace and sons Clifton and James. When James Robb Maury, Jr., filled out his World War II Draft Registration card, he indicated he was living in Mattapoisett, Massachusetts, and working for Philadelphia Fidelity Trust Company. If you have any information on James Robb Maury, Jr., please contact me.